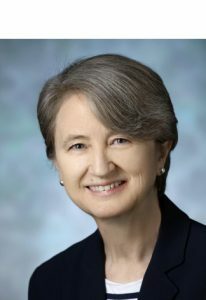 Noreen Hynes, MD, MPH is an Associate Professor at the Johns Hopkins School of Medicine with joint appointments in the Department of International Health and Population, Family and Reproductive Health, Johns Hopkins University. As Director of the Geographic Medicine Center of the Division of Infectious Diseases, Dr. Hynes brings over 30 years of experience and focus to the interdigitation of clinical medicine, public health practice, research and educational arenas in both tropical and emerging infections. Her research with the Center for Immunization Research focuses on vaccine clinical trials focused on the prevention of tropical infectious diseases including dengue. Outside of the CIR her research focuses on vaccine preventable tropical diseases, the epidemiology of tropical diseases among travelers and immigrants, and the epidemiology and control of emerging and reemerging infectious diseases, including high consequence infections. Her educational endeavors include co-directing the Infectious Disease concentration of the Master of Public Health Program at the Bloomberg School of Public Health, serving on the faculty at the Johns Hopkins Summer Institute of Tropical Medicine, and mentoring infectious disease fellows receiving additional training in clinical tropical diseases at the Johns Hopkins School of Medicine. Dr. Hynes is an infectious disease consulting physician with the Johns Hopkins Hospital Biocontainment Unit as well as with Johns Hopkins Travel and Tropical Medicine.